This is the one you have been waiting for! With 4 bedrooms and 3 full baths, Updated Kitchen, beautiful hardwoods throughout the main floor, and a children's play space with a Hobbit door!....... Yes a Hobbit door!........ The Main floor has three bedrooms, two full bathrooms, remodeled kitchen with brand new subway tile, living and dining rooms, the downstairs has a playroom, bedroom, full bathroom, and the two car garage with plenty of storage space! 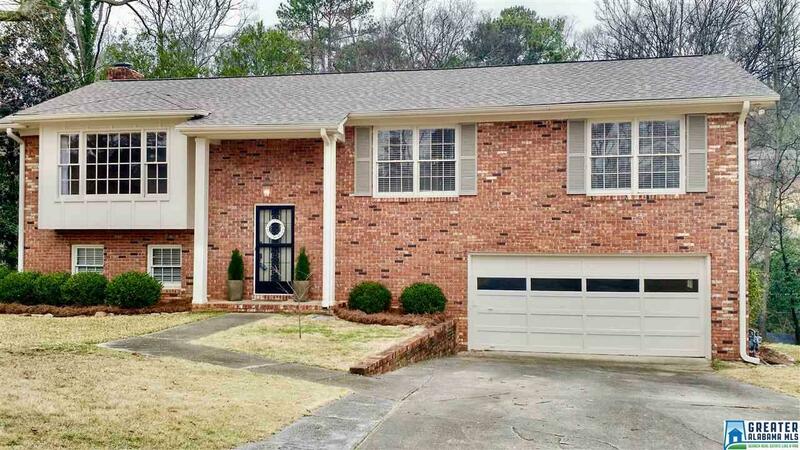 Located within five minutes of the Preserve, Tip Top Grill, Bluff Park Elementary, and much more! Schedule your showing before it is gone! . . . You can&apos;t miss this Bluff Park Gem! It will not last long. Come see it today! . Driving Directions: From Hwy 31 Turn On Patton Chapel Rd. Follow About 3 Miles And Turn On S Burbank Dr. House Is On The Right.